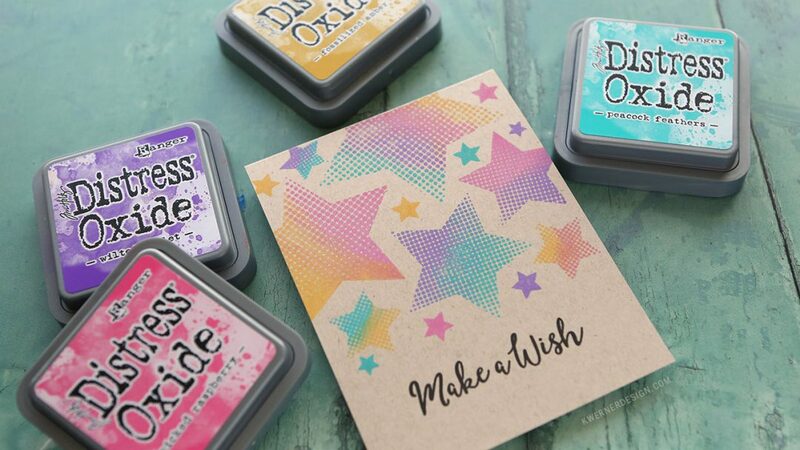 Simple Multicolor Stamping with Distress Oxide Inks + GIVEAWAY! 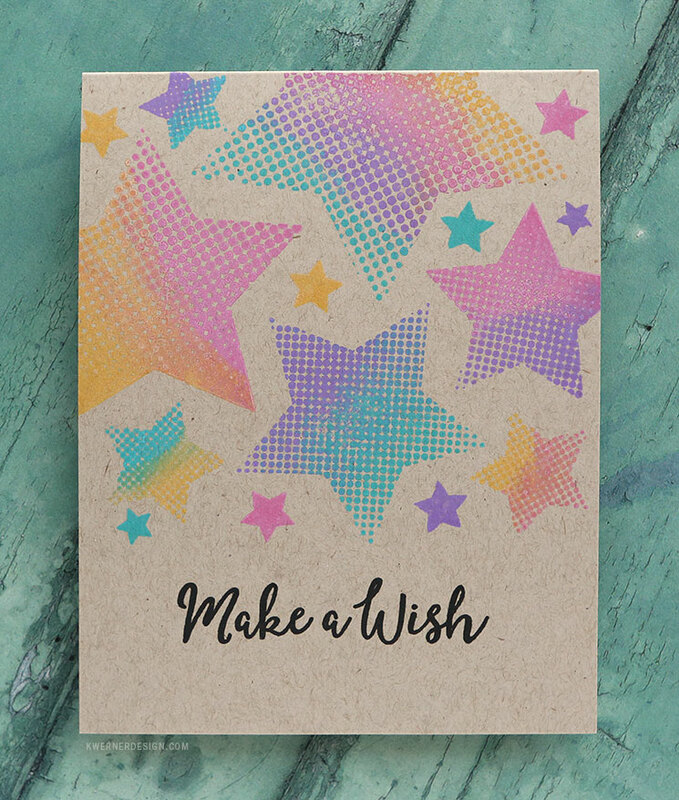 Distress Oxide inks coat stamps well and stay wet for a bit longer than dye inks, so it was especially easy to tap the different ink colors on the star stamps and sort of “blend” the colors together. I used four different Distress Oxide colors: Fossilized Amber, Picked Raspberry, Wilted Violet, and Peacock Feathers. To celebrate this release, Altenew is giving away a $50 gift certificate to THREE lucky winners! 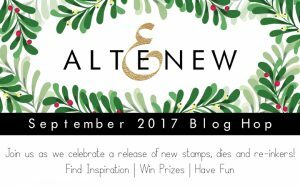 Please leave a comment on the Altenew Scrapbook Blog by Thursday, October 5, 2017 at 11:59 pm EDT for a chance to win. 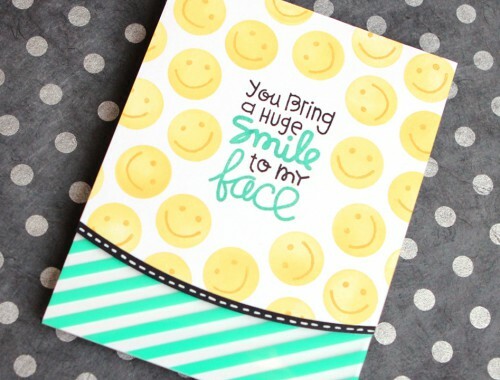 The winners will be announced on the Altenew Scrapbook Blog on Saturday, October 7th. Altenew is also offering up a $30 gift certificate to one of my blog readers. For your chance to win, please leave a comment on this blog post by Thursday, October 5, 2017 at 11:59 pm EDT (just scroll down to the very bottom of this blog post and leave a comment). The giveaway winner will be randomly selected and added to my Giveaway Winners page after October 6, 2017. Winner will be contacted by email, so be sure to include an email address you check often. Winner will have 48 hours to claim their prize. Thanks! You might have come here from from the Altenew Scrapbook Blog. You next stop on the hop is the lovely Laura Bassen!